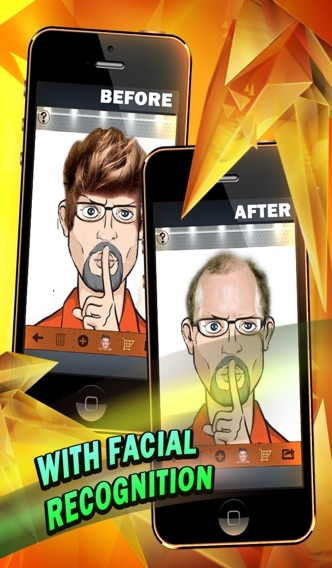 Make Your Friends Look Bald in Seconds! Ever wonder what you might look like bald? Find out now! 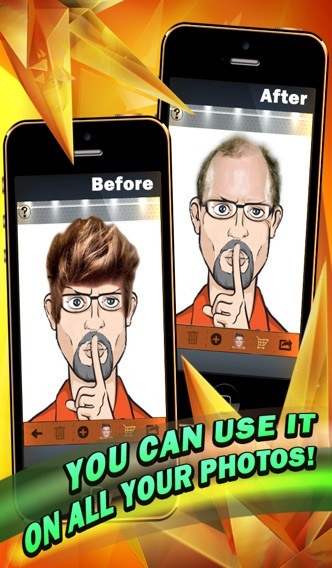 Great app to prank your friends as well. Features: -Instant balding effect with no Internet connection needed. -Save photo to your phone. -Share the results via email. -Share the results via twitter. -Share the results via Facebook. Make bald your friends also! This app will give you hours of enjoyment. Instructions for use: 1. Take a picture or choose one from your photo library. 2. Wait for the face recognition. 3. The bald wig will fall near the head. 4. Press "+" to choose between more bald wig. 5. Share with friends and family. 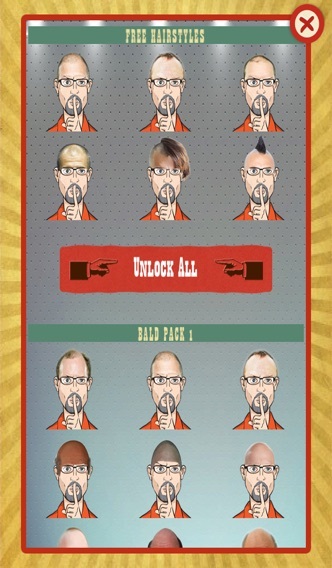 Make Me Bald is a humour application made for entertainment. Please use a front full-face photo. *** IMPORTANT NOTICE *** Jordi Martin is dedicated to updating his apps regularly to make sure they deliver the very best gaming experience. If you have any issues to report or suggestions to make, please email the device you’re using, iOS version, and a detailed description of the problem to: soporte1@crearapp.com If you love this app, please support it by leaving a review in the app store. Thanks for your help I really appreciate it! Automatically made an in-app purchase! Beware! Without my approval it had a pop up along the lines of see additional for such price and then I tried to press dismiss and it then automatically jumped to thank you for your purchase. Waste of time. Thought to look more real but just looks like a cartoon. Funny app it could use more variation however. My friends who aren't already bald look like total dorks with no hair. Can't wait to show them thanks to this app! Simple but could be fun if you're really bored. 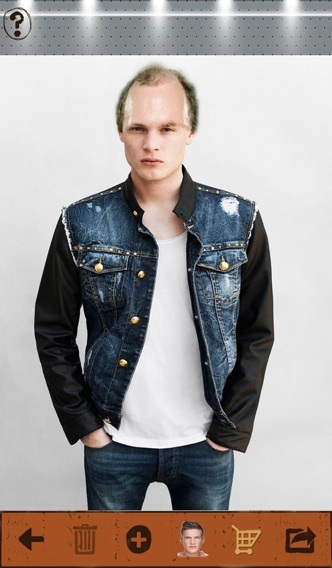 Just choose a photo then drag and drop pre-cropped hair pieces onto photos to make people look bald. Prank your friends and post their bald photos. Fun app. The idea is simple and fun, but the implementation needs work. Without being able to select different skin tones, the illusion does not work. It's so fun making my friends look bald. Can't wait to see their reactions.